LET'S BE IN A NICE PLACE WITH MUSIC AND KARAOKÊ. You must be a member of the Rio de Janeiro Exploring the City Group to attend this activity. Would you like to join this group? 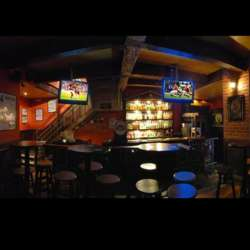 TheProtected content Pub is a well known traditional place located in Ipanema . It offers a nice atmosphere with good music and karaokê opportunities. It's a friendly place to spend a pleasant sunday time.